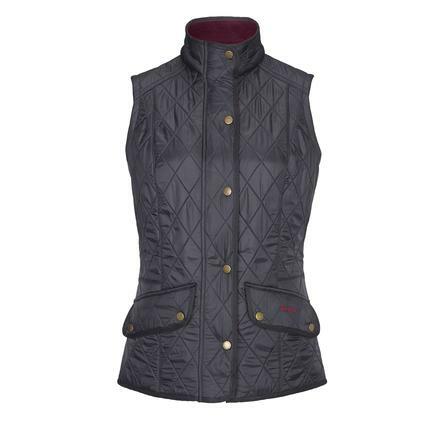 A riding inspired gilet, the Barbour Calvalary Polarquilt is translated into Barbour's signature polarquilt combination. A versatile waistcoat whatever the climate. The hem scoops down at the back and there is an elasticated half belt at the rear - very flattering. Available in; black, olive and red and pearl rustic. The length of the jacket is 28 - 30.5 inches (71.7 - 78.7cm). Make your choice of dress size and colour from the pull down menus below.SALE!